So speaks Juliet on the morning after her wedding to Romeo. In the Aurora Rose imagination, Juliet wears a gown of simple chiffon accessorised with three white flower hair clips. Perfectly simple and flattering Shakespeare’s scene is the inspiration for these pieces. This is a very pretty and natural look which can work either with or without a veil. They also look beautiful with an updo as pictured or to fasten back a couple of strands of hair from around your face if you are wearing your hair down. 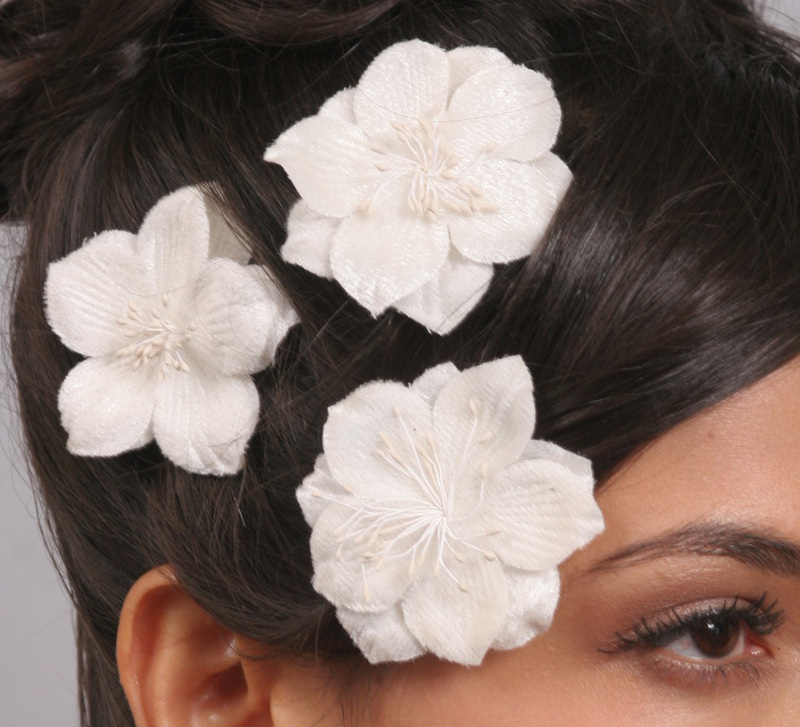 Each flower is fastened onto a flat metal hair slide/clip measuring 4.5cm in length. Each flower measures 6cm in diameter.